AUSTIN, Texas — Leave it to Red Bull's Max Verstappen to provide some late-race thrills at the U.S. Grand Prix. Verstappen's key block on Mercedes driver Lewis Hamilton late in Sunday's race denied Hamilton a chance to maybe chase down Ferrari's Kimi Raikkonen to win. And it helped deny Hamilton's bid for the season championship. Last season, Verstappen had surged past Raikkonen on a final-lap pass to finish third. It was the kind of aggressive move that earned him the "Mad Max" nickname. Before he could even reach the podium, race officials declared Verstappen's move illegal and bumped an angry Verstappen down to fifth. The Circuit of the Americas this week installed a new curb on the same corner, dubbed "Verstoppen," to punish drivers who tried anything similar this year. It worked when Verstappen hit it hard enough in qualifying to knock his car out of the session with a damaged suspension and gear box. He started Sunday's race 18th. The Dutch driver launched a furious attack through the field and found himself in the thick of things late Sunday. His move to block Hamilton wasn't on the same corner with the curbs, and it came with him playing defense instead of being the aggressor. Verstappen had to make multiple moves to keep Hamilton behind him and finally drove the Mercedes wide, forcing Hamilton to finally concede the position and the race. "I was trying to get close to Kimi but at the same time keeping an eye on Lewis in my mirror. It was close, but we managed to hang on," Verstappen said. "It is safe to say today went a lot better than expected." Knowing Verstappen's aggressive nature, Hamilton said there was too much at stake to risk a collision. "The key to me was to make sure I finished ahead of Seb. I don't care when you win a championship, just that you win," Hamilton said. ""For Max, to come back from so far, he did a great job." 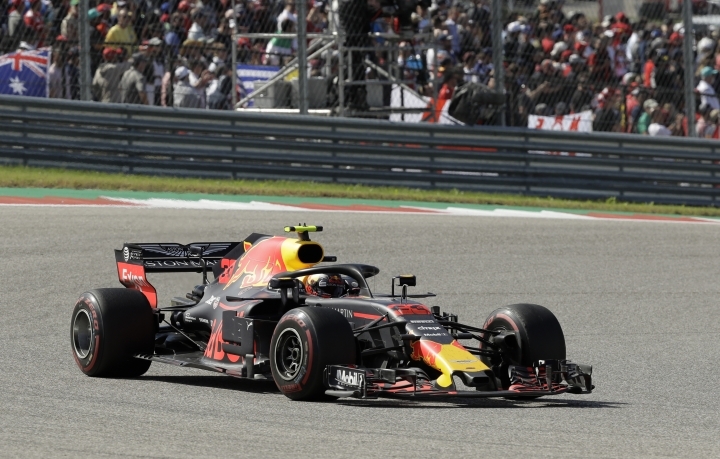 Verstappen has been just as aggressive at the Autodromo Hermanos Rodriguez in Mexico City. In 2016, race officials ruled he improperly left the track to gain an advantage on Vettel to finish third and he was bumped from the podium. Last season, Verstappen's strong start sent him into the lead out of the first turn, while Hamilton and Vettel bumped each other. The collision ruptured one of Hamilton's tires. 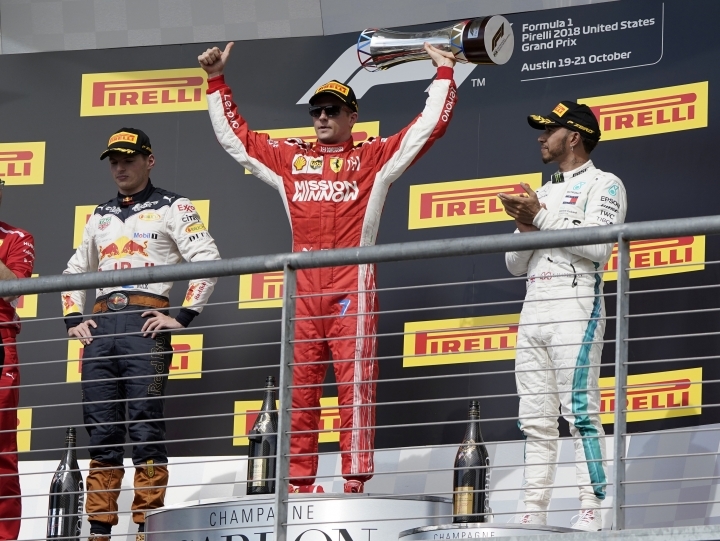 Verstappen won the race while Hamilton limped home in ninth place, but still won the season championship.